Luke Hackett is a Personal Trainer based in Sutton Coldfield, West Midlands. With a background of ten years+ experience in gym and sporting environments. I hold a Level 3 Diploma in Personal training as well as the Level 2 Certificate in Fitness Instructing. Additionally I am also qualified in Functional Resistance Training, Bootcamps & Circuits, TRX and Advanced Fitness Testing. 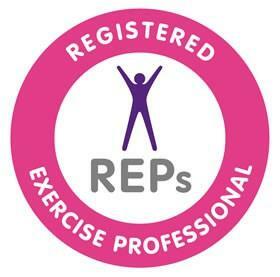 I am a registered member of REPs (Register of Exercise Professionals) and I am confident that with my lighthearted and professional approach I can not only help you achieve your goals, but we’ll have a lot of fun on the way! I pride myself on delivering an exceptional level of customer service. Your success is my success. I take great pride in my clients achievements and will do anything I can to help YOU achieve your goals. Got a question or need some advice? I offer my clients 24/7 telephone or email support. All my training is individualized, tailored to you, your preferences and your goals.